Shaw Koepke & Satter serves as local, regional and national counsel for clients with civil litigation needs. We are dedicated to providing the highest level of service to our clients. Our focus is to thoroughly understand and support the business goals of our clients. We obtain superior results by securing the initiative in litigation and proposing cost-effective resolution strategies before significant defense costs have been incurred. And we leverage our considerable advantage of having major jury trial experience to obtain more favorable resolutions for our clients. For those cases that cannot be resolved, we exert our experience, knowledge and creativity in fighting for our clients at trial and beyond. While our name may be new, we’re not. For over three decades, our partners have been privileged to represent a myriad of clients, including Fortune 500 companies, individuals and everything in between. Our commercial litigation team handles a variety of business disputes including complex contracts and breach of contract issues. Our firm also handles business disputes involving Uniform Commercial Code claims and remedies, partnership disputes and employment disputes. We get to know your business so that we can best propose an early road map for resolution. And we work closely with our clients to achieve the best and most cost-efficient result. As an example, every report we send you has a caption for “Resolution Strategy” that is specific about our goals for resolution and their timing. We also suggest preventive strategies to avoid “getting sued” in the future. We provide “big firm” representation at a more realistic and fair rate. And our partners are personally involved in your matter from inception; we do not “train” entry-level associates on your case. Of course, when appropriate and in the interests of efficiency, we will delegate those matters to lawyers with lower hourly rates and to legal assistants who have the necessary expertise, training and experience while assuring the highest quality legal work. 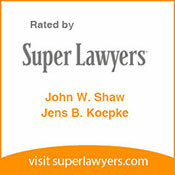 Shaw Koepke & Satter is dedicated to providing our clients and attorneys with state-of-the-art technology. We are dedicated to reducing costs. 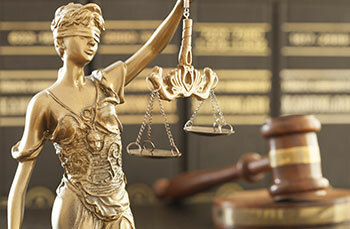 We use “Court-Call” whenever possible and teleconferencing for routine, distant depositions. The firm assures compliance with all reporting, budgeting and administrative instructions from our clients. We closely partner with you on preparing an initial budget that is consistently reviewed to confirm that it is properly tracking the litigation. We understand the economic pressures you face to contain litigation costs as we strive to provide the best legal services to protect your interests. 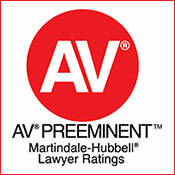 We take great pride in the representation of our clients. There is no greater honor than to be “your lawyer.” We will earn that honor every day.